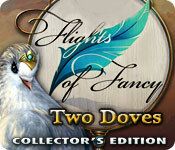 Flights of Fancy: Two Doves Collector's Edition is rated 4.2 out of 5 by 79. 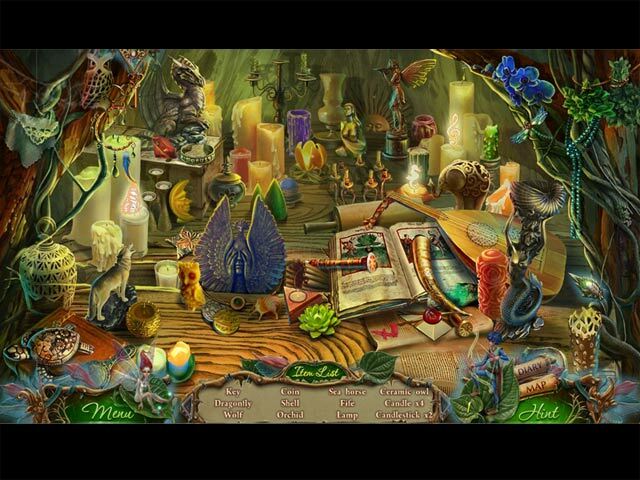 Rated 5 out of 5 by Ben_and_Tarah from Best Hidden Object Game Ever My husband and I LOVE this game!!! The storyline is sublime. The collector's edition is TOTALLY worth it. The extra chapter is my favorite one. I really like that you can turn off the hints and sparkles and personalize the level of help you get. The art work is gor-ge-ous. I could just gaze at the scenes for a long time, lol. It is incredibly creative. GREAT PLOT!!! Rated 5 out of 5 by grandmacira from Adorable, relaxing and fun This game is a refreshing change from the over complicated games of late. This was actually fun to play, and I wasn't hitting the "hint" button every few minutes. Regardless of what the reviewers said about it being for little girls, I found this game to give enough challenge to make it very interesting, yet remain enjoyable, and fun as a game should be. I can t close this review without giving a high 5 to the person that developed the singing mushrooms!! I loved them. Rated 5 out of 5 by un1cornr0se from A bIt of whimsy and fantasy all rolled into one! I had a delightful time playing this game. It was very quirky in it's make up and I loved that. 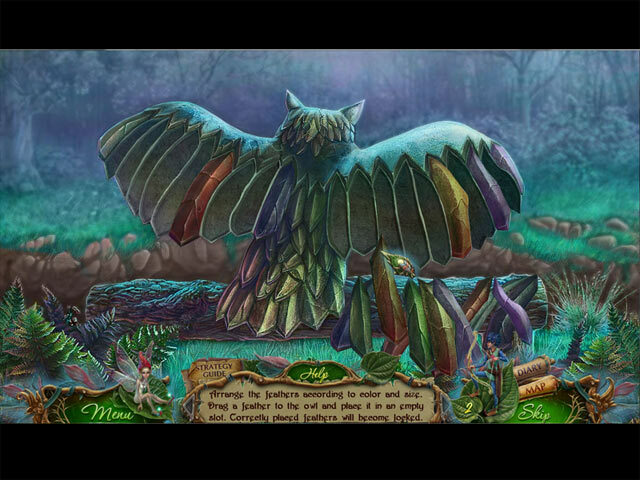 The story was fantasy based and a little unusual in it's graphics which made it fun. The HOS were pretty standards, and the puzzles were quite similar in design (and not based where my problem solving strengths lie), but I loved it all the same. The music was good, graphics were fun, overall gameplay was excellent. More than happy to keep this one in my collection to play again. Rated 5 out of 5 by SparkleGlow100 from Thoroughly enjoyable! Loved everything about this game! Rated 5 out of 5 by ElitistGeek from A Magical Experience! I'm reading through some of these reviews and most people are lowering this game by one or two stars simply because "it's too cute." Really? Listen, people. This is a fantasy HOPA through and through. True, this game really is "as cute as it gets". Everything down to the interface, to the character you're playing (a Countess), the setting, music, bright color schemes, sound effects-- you name it, it's adorable. This is one of the games you play and you can't help but going "awww" all the time or just plain getting amused (i.e. the singing mushrooms). Your hint button is a fairy, you have another fairy companion that does some occasional magic to get you through tough obstacles (did I mention you can name both of these fairies? ), and you also get lots of help from other enchanting creatures such as the griffon and the cute little blue bird. And you know what? I loved every minute of it. Your fairy even has it's own little house where your achievements are stored and where she can do things such as trim a plant, play music, blow away dandelions, and other little things that I found insignificant. You also acquire outfits that you can use to dress up your fairy, although this was pointless because her outfit only shows up on her when you're viewing her in her house and not in the actual game (where she continues to wear the default outfit). It was cute, though pointless, I have no idea why this was here. It's things like this that make think this game was made for a 5-year old, the only thing that stopped the game from being a kid's game was the difficulty. I was pleasantly surprised to find that despite the game's adorableness, it was more difficult than most of the HOPA's I've played (and I always play on expert). The HO scenes hid objects very well and many of the puzzles/mini-games genuinely took time and thought. Never before in a game have I abused the hint option as much as I did in this game. The game has strange logic as to what items you should use for certain actions. What was annoying is that unless you use an item at exactly the right spot, the game thinks you're using the wrong item. The same goes for HO scenes, you'll find yourself clicking on a item and nothing happening unless you click in a certain area. This was very strange and quite an annoyance. The interactive map was suppose to be your saving grace at this point, but it only serves to be further confusing. Several times, the map says there is an area where an interaction was available, but when you go there you have no idea what you should do, so you use the hint button. And get this- the hint tells you that there is nothing to do in that room. Huh? Then why is my map telling me that there is? This made things VERY confusing. Needless to say there is A LOT more backtracking than you would expect in a normal game. Thank goodness for the map otherwise this would have been a frustrating game indeed. HOWEVER, despite all of this, I think these are minor flaws that are easily overlooked by the sheer awesomeness of this game. The graphics are so, so, SO BEAUTIFUL. Really wonderful. My favorite series of all time was ERS' Spirits of Mystery and the graphics in those games were such a delight. In Flights of Fancy, you won't be disappointed. The artwork is just gorgeous and really breathtaking. I was truly impressed. The music was just as beautiful, although with most music in many of these games, it can get repetitive. Personally, I enjoyed the tracks so much I wasn't bothered at all. The VO's and cutscenes were top-notch as well. Since this is a CE, you get a ton of extras, including the extra hour-long bonus chapter which made this CE worth it alone. I was a bit disappointed in the wallpapers and screensavers as there were MUCH prettier scenes in the game that they could have used. The ones they picked seemed random and not wallpaper/screensaver-worthy. You also get the music tracks (four I believe), concept art, and you can replay all the HO scenes, puzzles, and cinematics. This is officially my new favorite game, topping my beloved Spirits of Mystery series. Don't mind basking into the adorable, cute, and wonderfully sweet, all while being presented with a new and welcome challenge? You'll love this game! Yes, it's for die-hard fantasy folks and no I definitely don't think this game was made with males in mind AT ALL (So you males, be warned! Know what you're getting yourself into!). However, I don't think the cute and sweet factor of this game should diminish its quality at all, I believe that it adds to it. And take the game for what it is, overly sweet and "saccharine" is what it WANTED to be and was MEANT to be by ERS. So just sit back and enjoy it! Rated 5 out of 5 by chic671 from Beautiful visual Beautiful graphics and a good story. Rated 5 out of 5 by MusicNat from The Best of ERS! :-) I am a big fan of ERS games and thought this one is their best game yet!I will spare you the usual details since you will find them in other reviews. After completing the entire game, I am looking forward to playing it over and over again. The story-line was intriguing and fairy-tale based which I love. It had just the right amount of challenge to be fun but not so hard that I had to get bogged down. The music was the best that I have heard in an ERS game. I could not stop listening to it. Simply beautiful. There are 2 interesting helper characters in the game that you will get to name, dress and more. One being a fairy and the other an elf. That is simply priceless and adorable! There is "bling" galore in this game, including tons of achievements, collectibles, music etc. I especially loved collecting items for the fairy and dressing her in gorgeous dresses and have her perform activities such as playing a musical instrument etc. 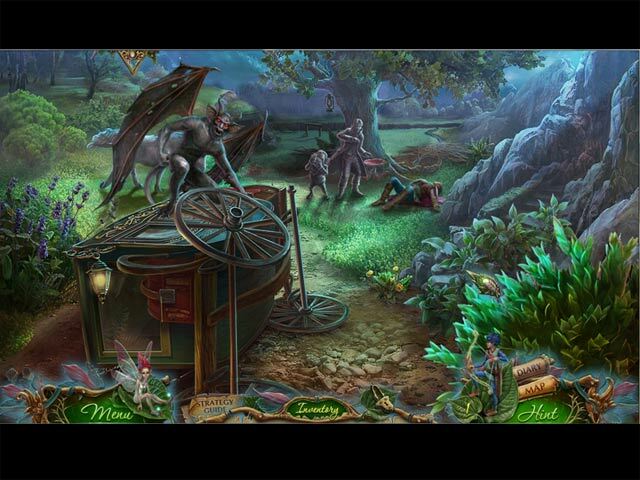 Simply a must have game for ERS and fairytale lovers! This game is a great escape of the mind and the senses!